Well, its back, and it is faster, thinner, smarter and stronger. Yes, Motorola has unveiled the comeback of the RAZR series and this time with Android on board and a dual-core processor powering the sharp looking handset. The handset is just 7.1 mm thick and has a Kevlar all over. Yes the same material they use in bullet proof vests! Other features of the handset include a 4.3-inch Super AMOLED Advanced display, a dual-core 1.2 GHz processor, 1GB of RAM, Android 2.3.5 and an 8-megapixel rear-facing camera with 1080p video capture. 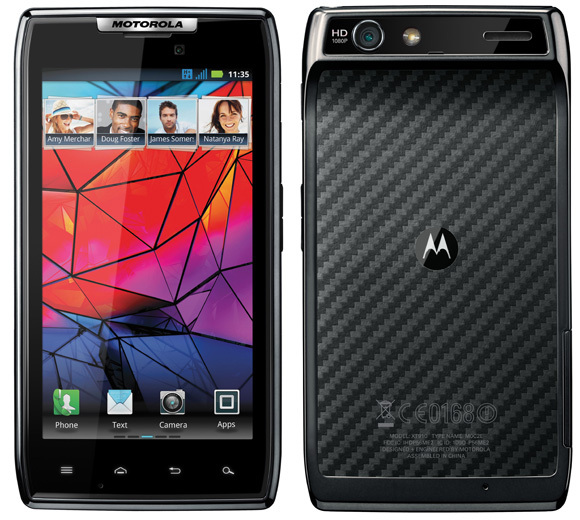 Motorola also launched the DROID RAZR which is the 4G LTE version of the RAZR having the same specs. The DROID RAZR will be launched on the Verizon Wireless network in the US. The RAZR is said to be available in North America, Asia, Europe, Latin America, and Middle East and Africa starting this November and the DROID RAZR will be available in early November for $299.99 with a new two-year customer agreement at all Verizon Wireless Communications Stores in the US.